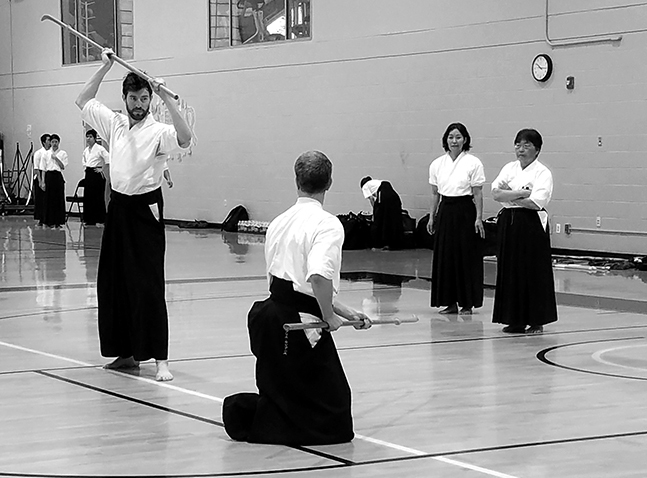 Bryce Harrop and Chris Coppeans practice zen nihon naginata kata. Bryn Mawr College, July 2018. 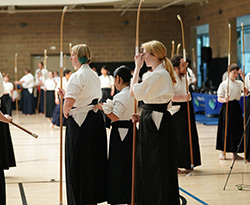 At the US Team Selection competiton, 5 PNNF made the team for the next WNC: Bryce Harrop and Chris Coppeans for engi and men's team and/or individual; and Kei Tsukamaki and Kelsey Shamrell-Harrington for women's team and/or individuals. Sara Jensen was selected as a women's alternate.